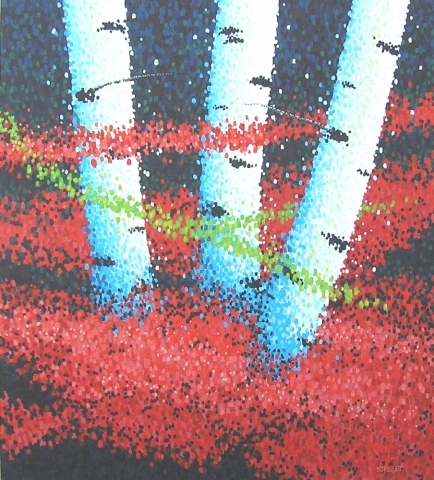 The following are examples of artwork by the artist Jim Pescott. Some pieces displayed may be examples of commissioned work or have already been sold. 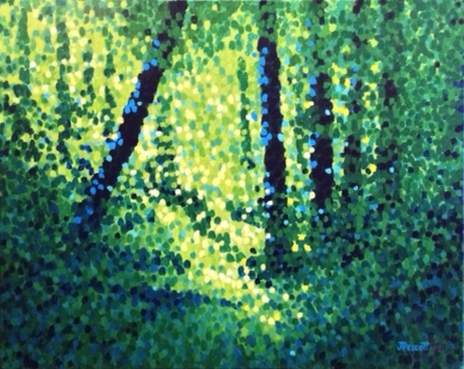 All artwork availability is subject to prior sale. Jim Pescott left a successful corporate career after thirty years to follow a deep inner passion for Alberta landscapes and the natural light that define them. 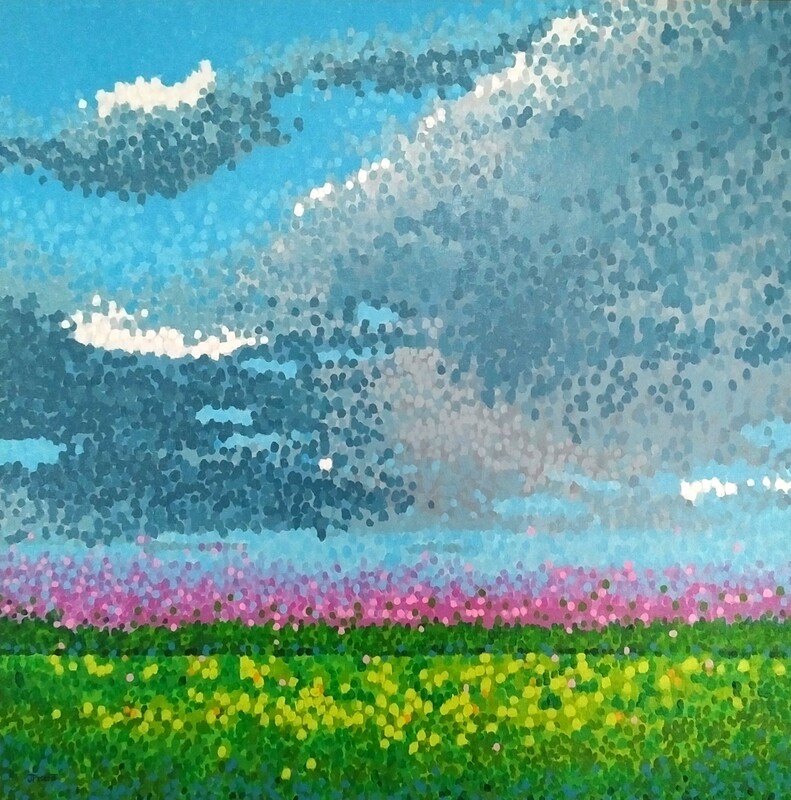 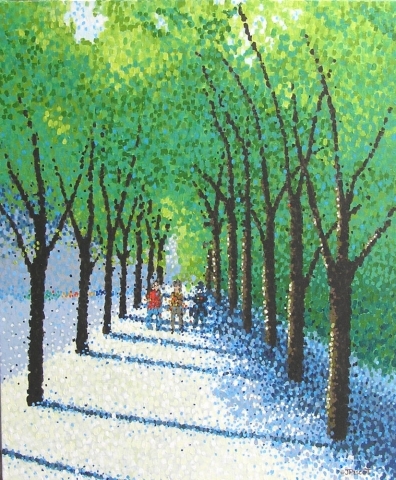 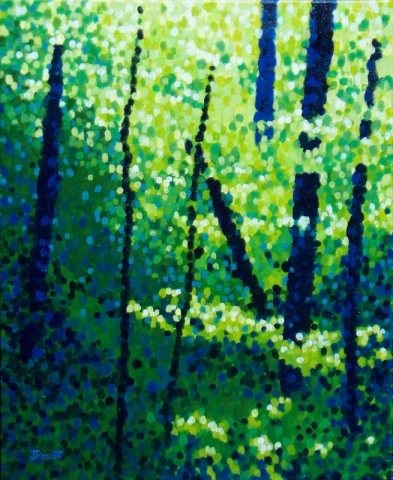 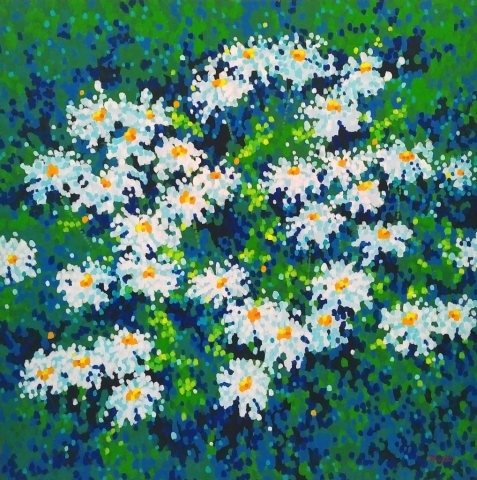 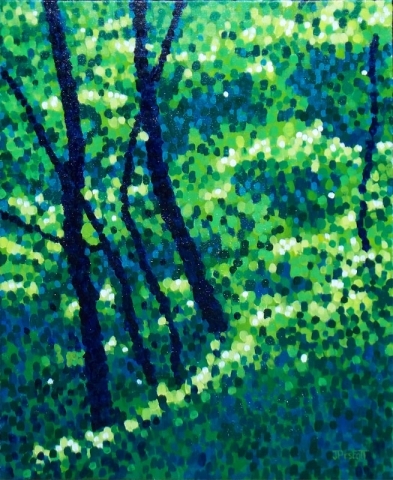 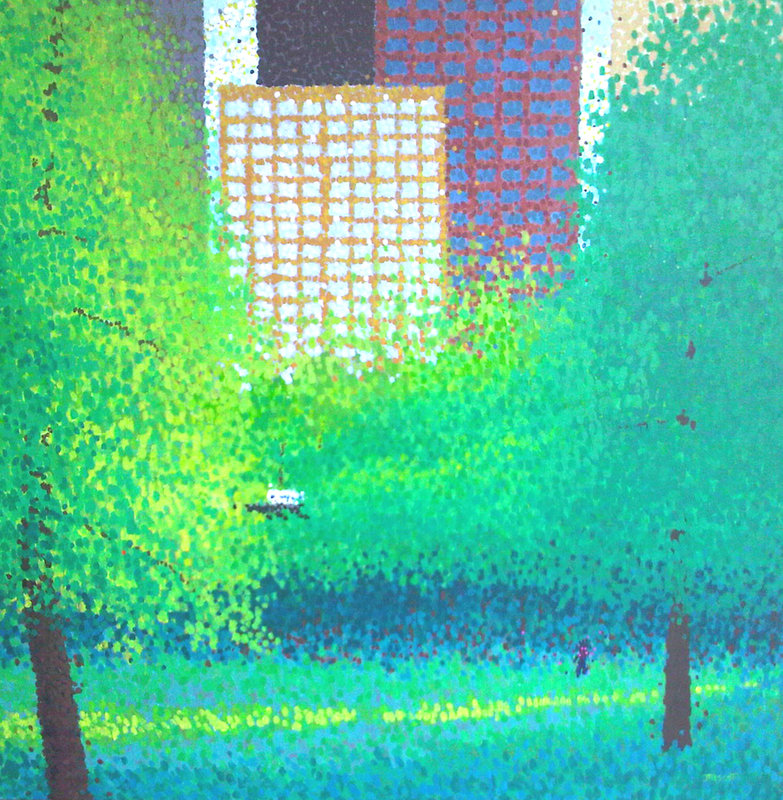 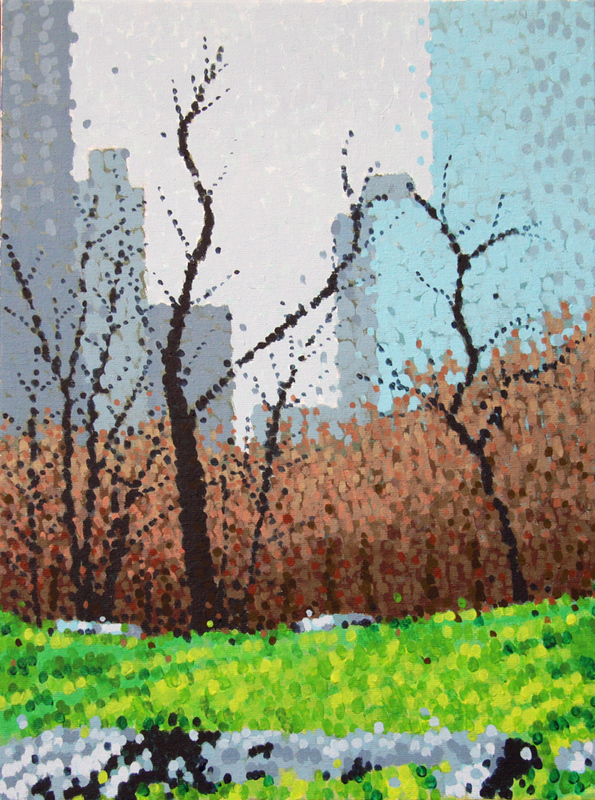 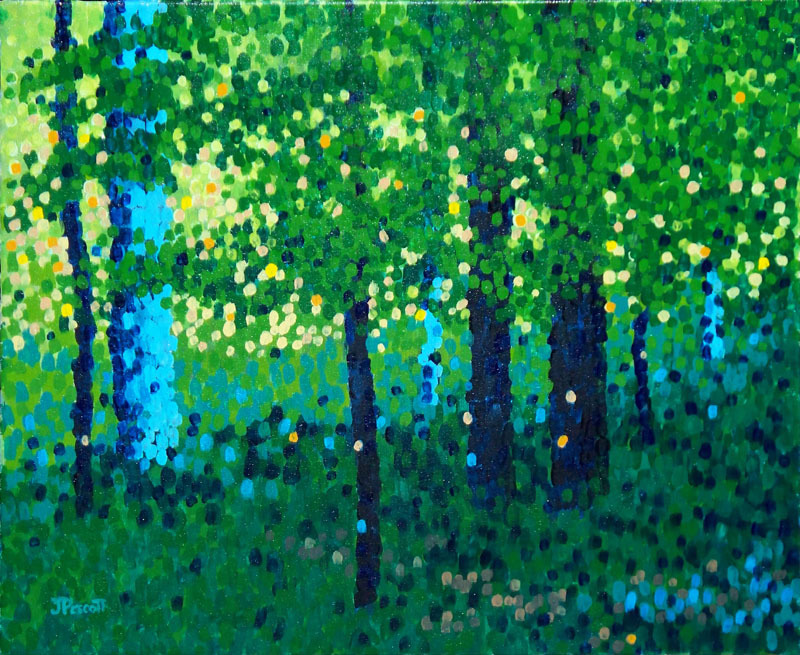 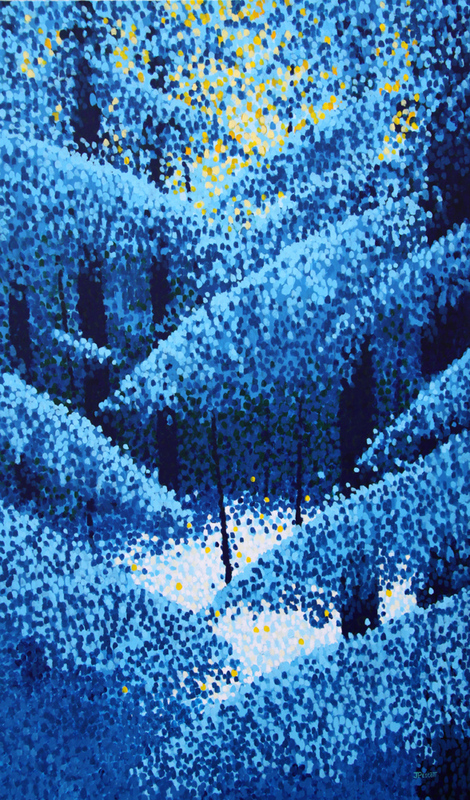 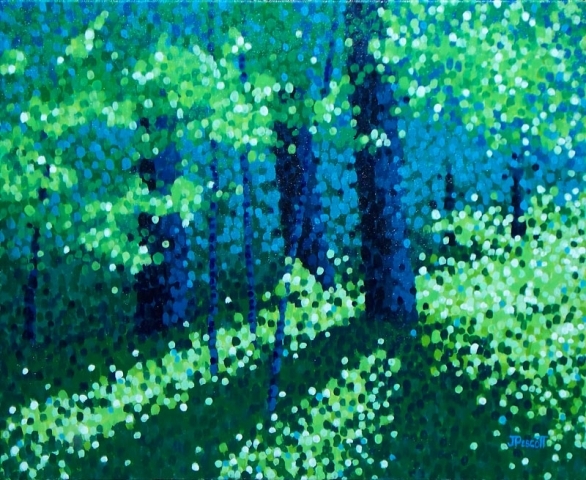 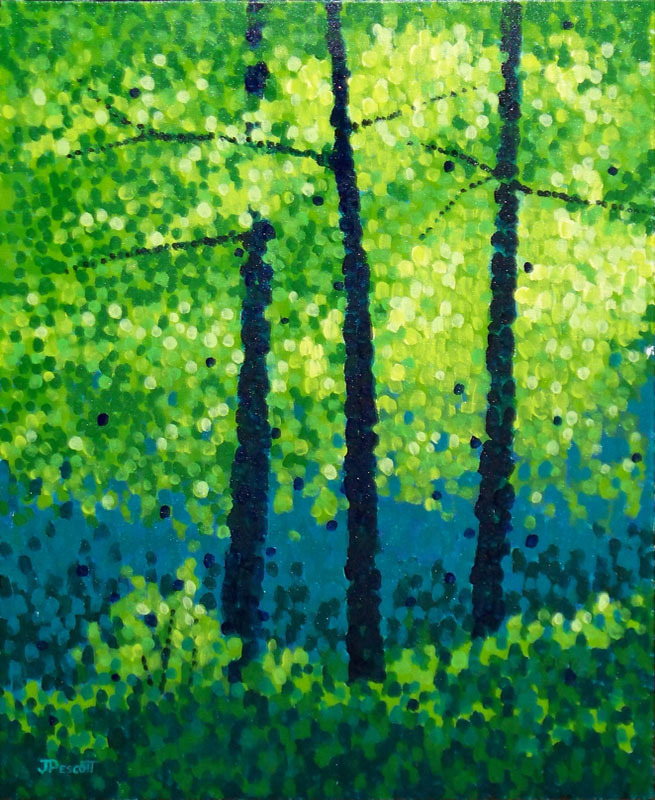 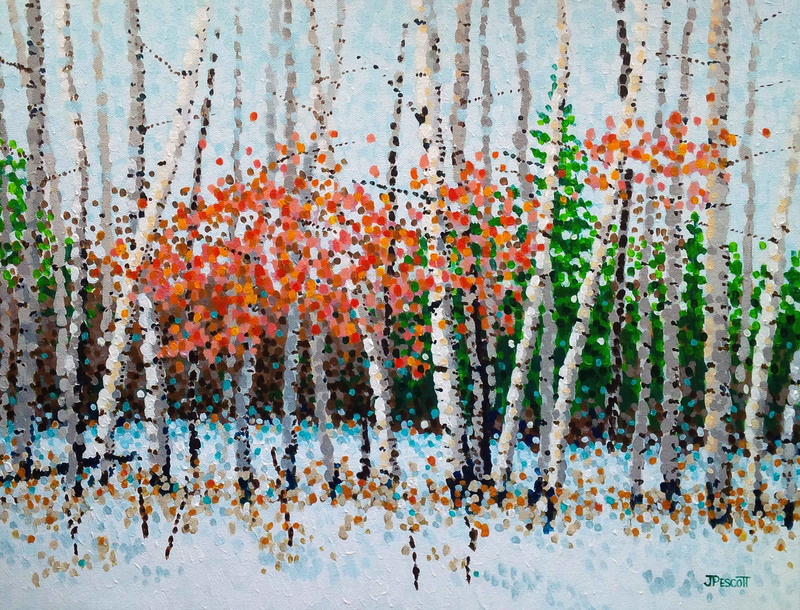 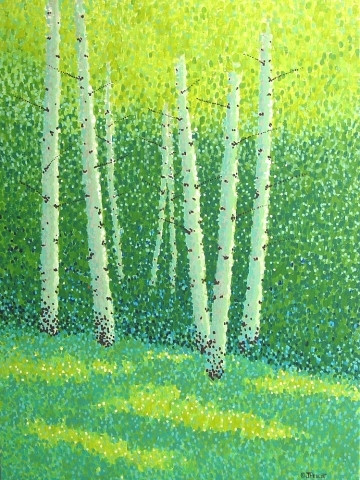 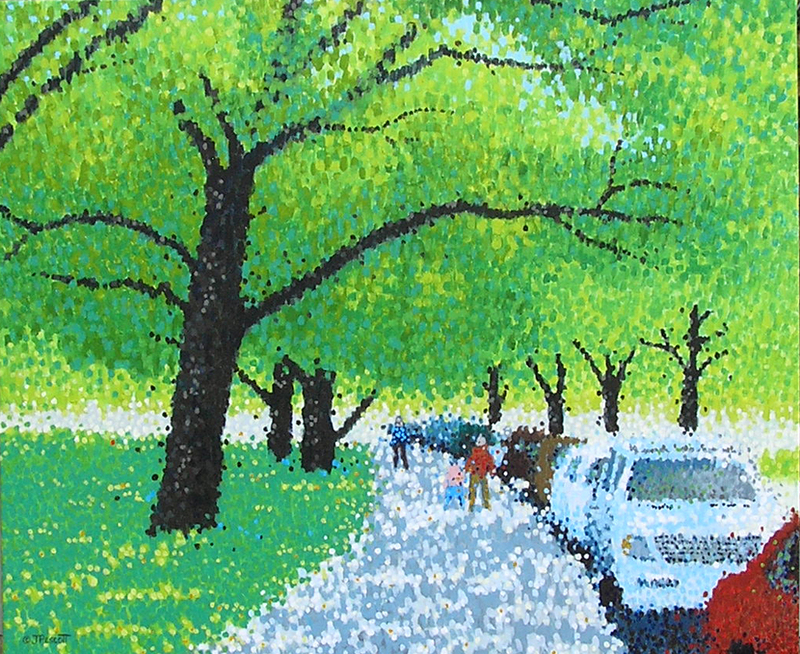 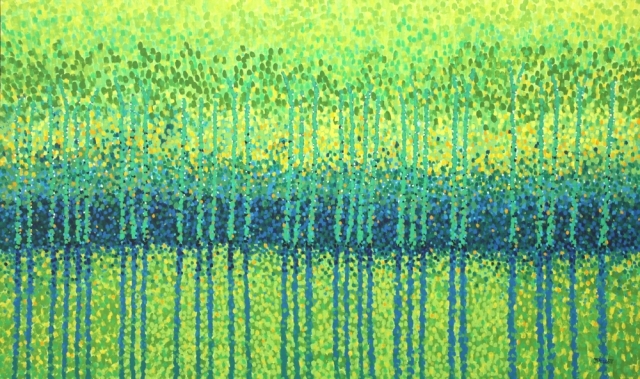 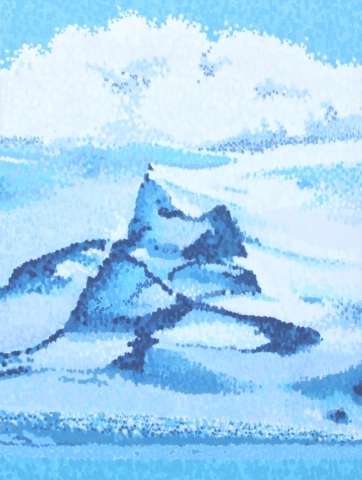 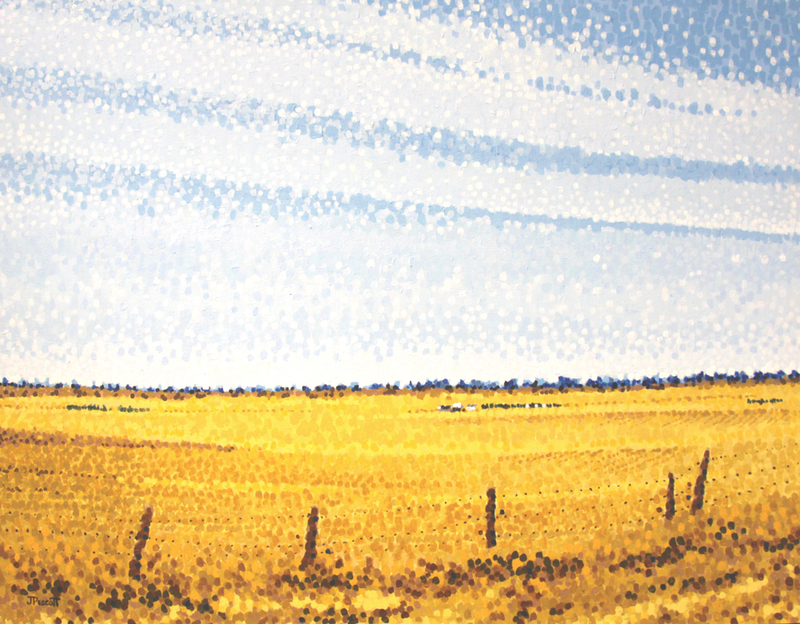 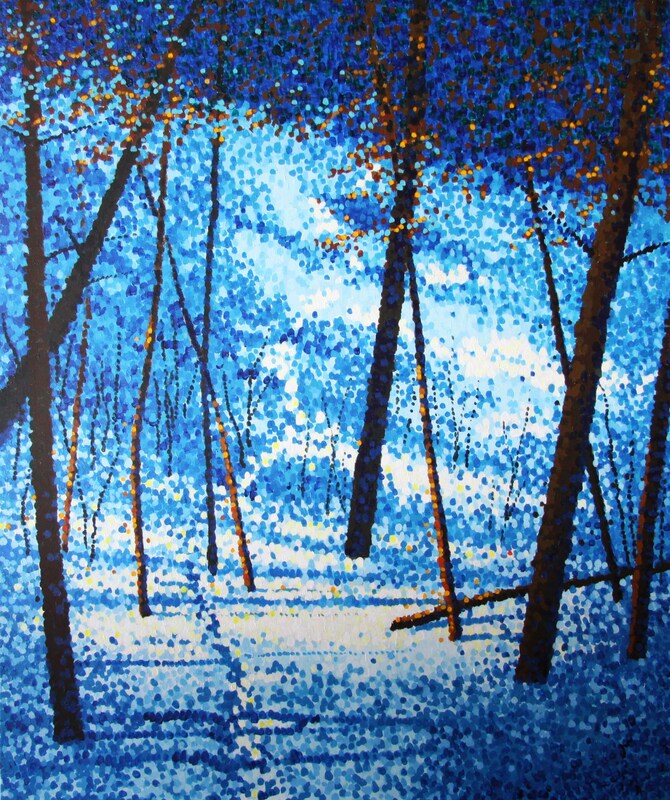 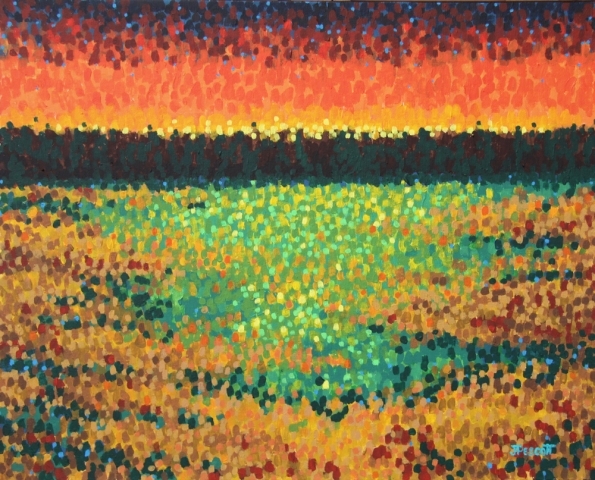 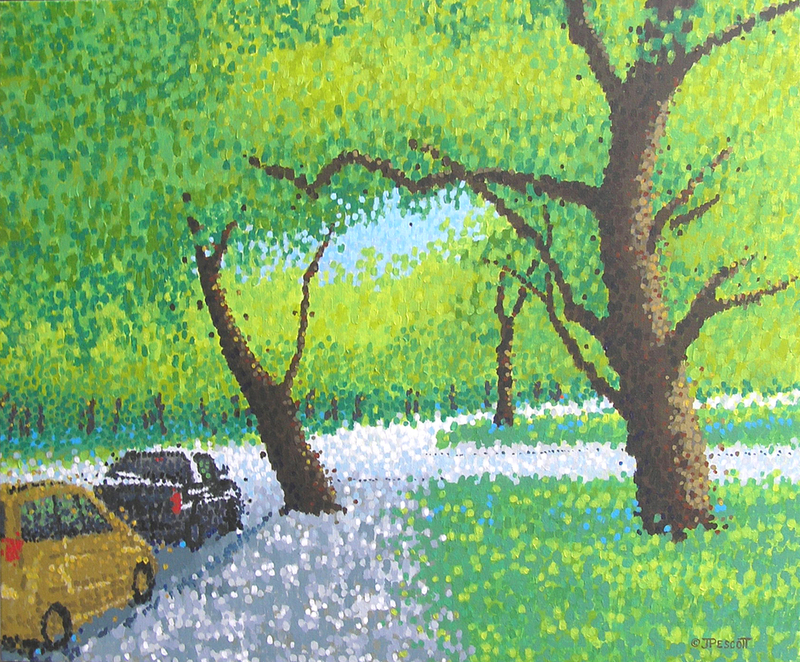 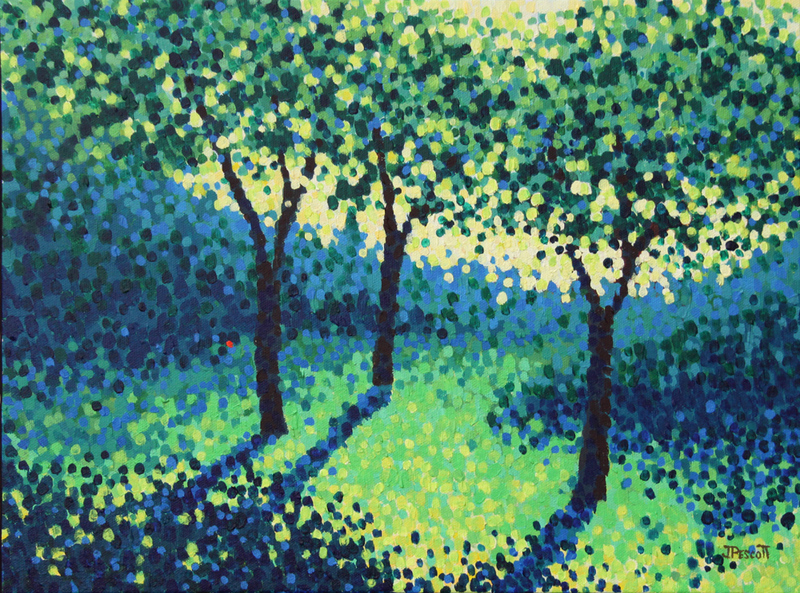 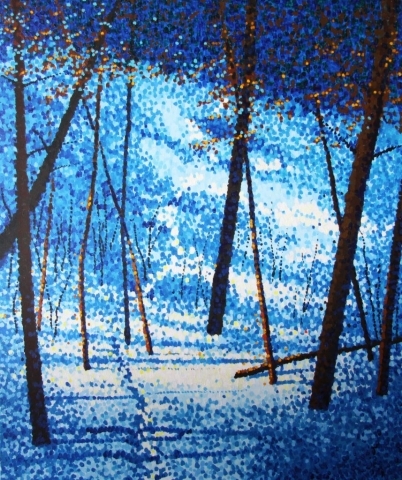 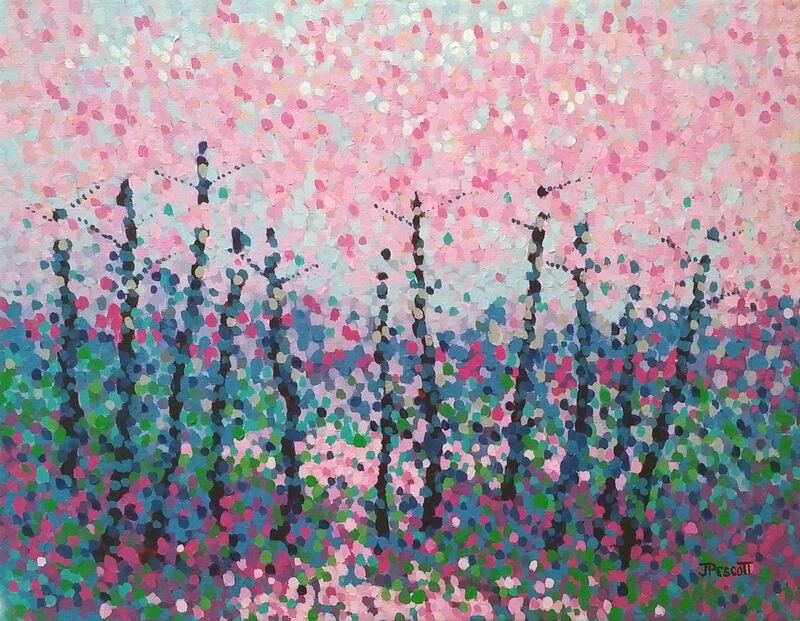 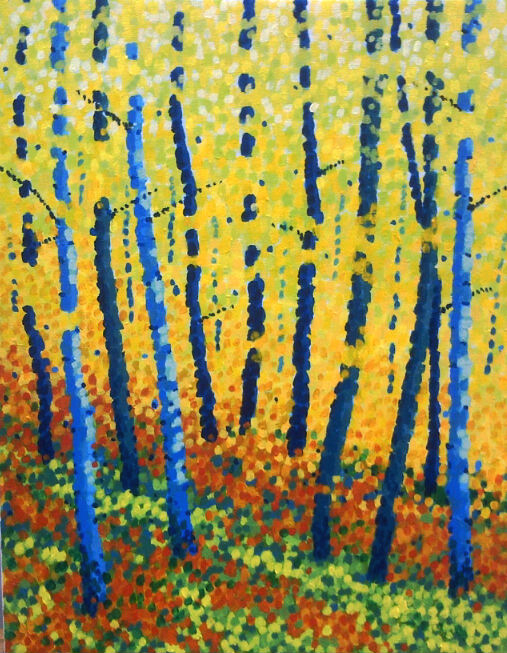 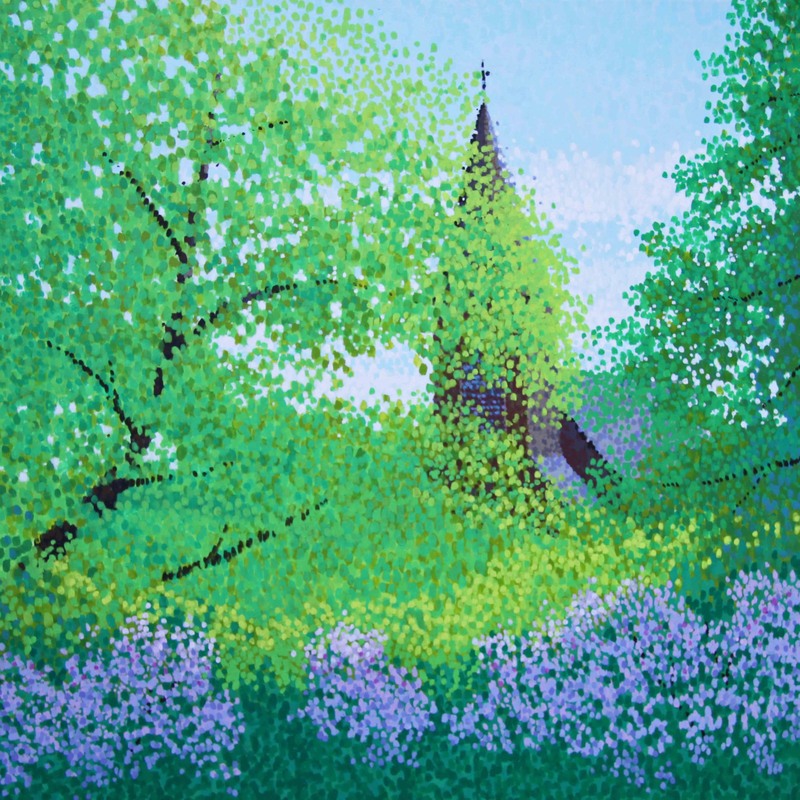 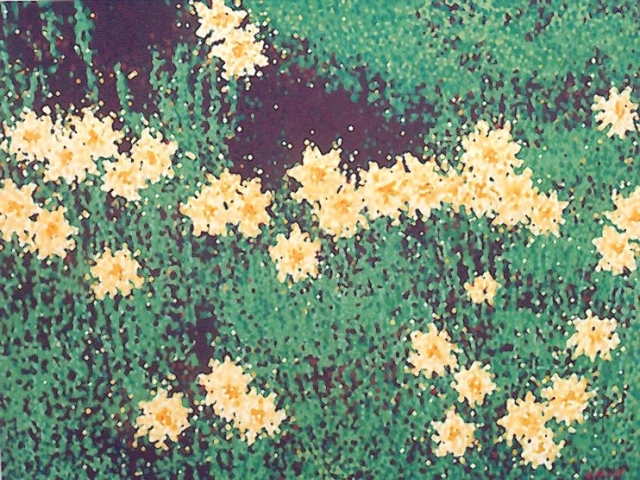 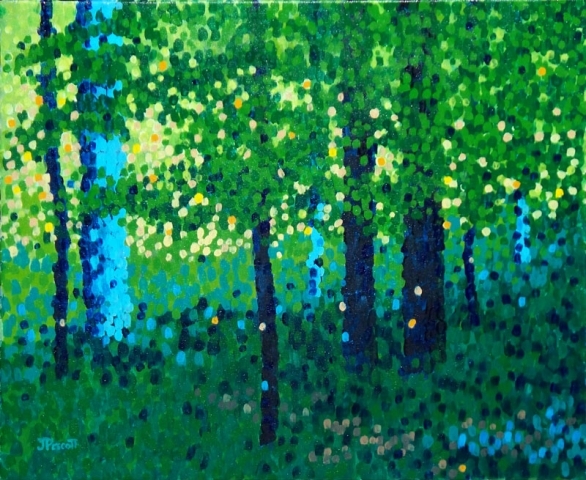 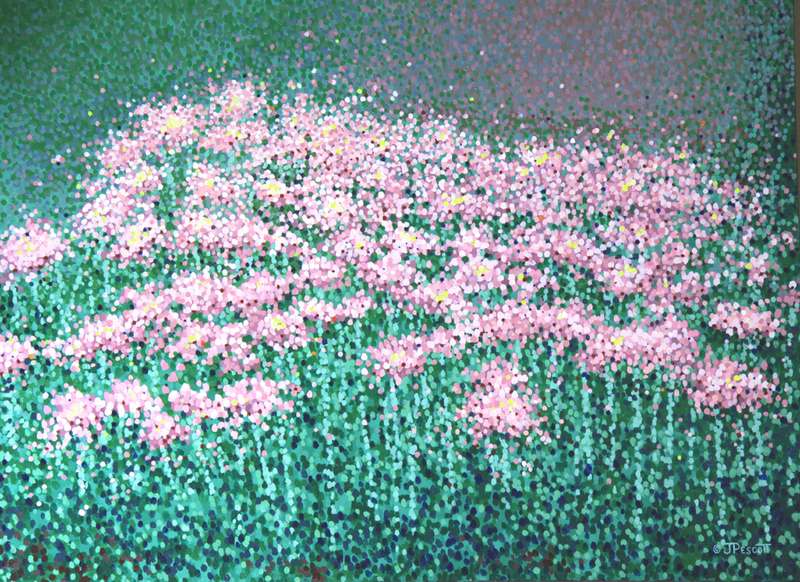 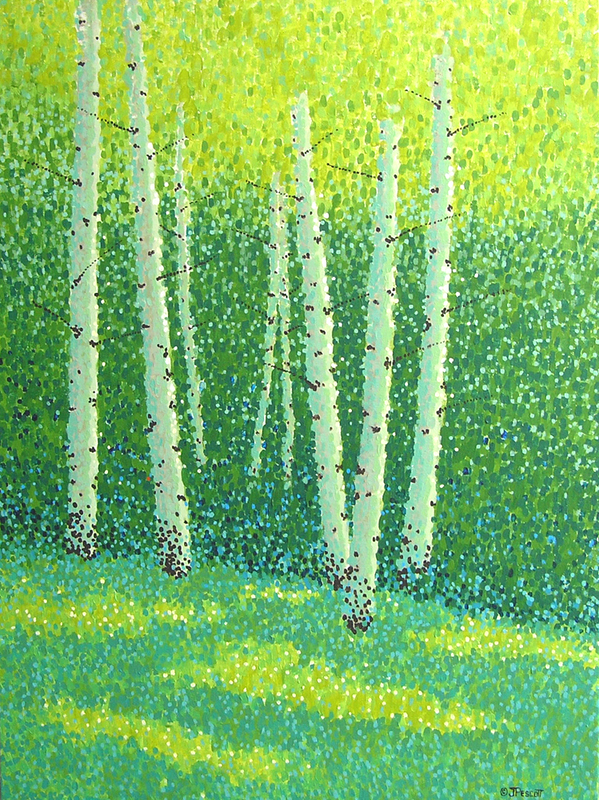 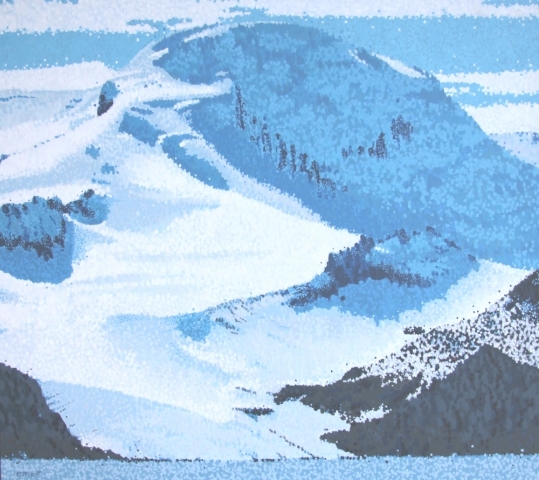 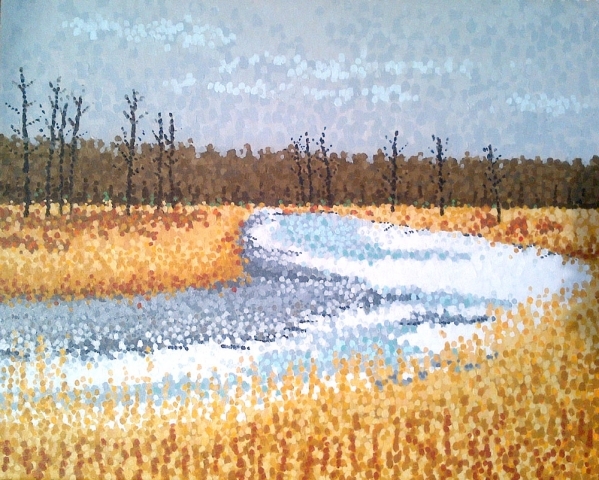 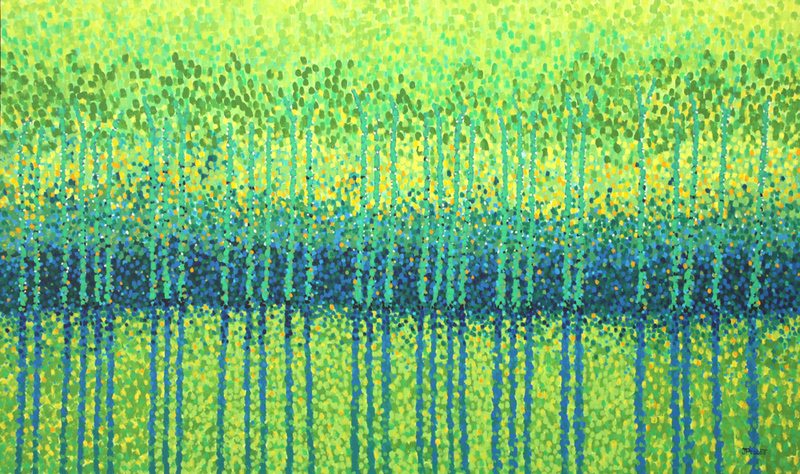 His painting style is ‘contemporary pointillism or as Jim says, “Painting with dots!”. 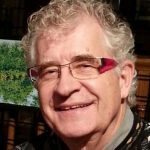 Jim is self-taught: for him, painting involves listening visually to source joy, light, and harmony for the images on his canvas and to explore how everything is connected. 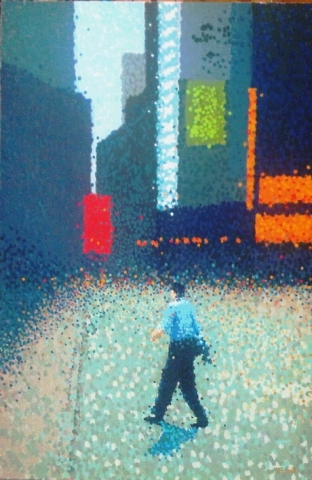 Jim’s work has exhibited internationally: Cannes, France, Florence, Italy, Rio de Janeiro, New York City, and Monaco. 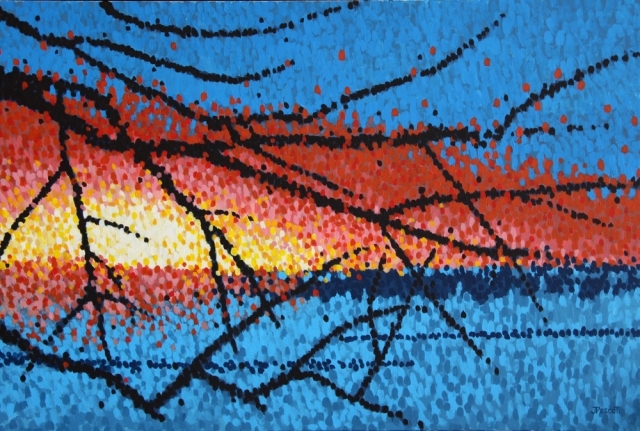 His work has exhibited annually, from 2011 through 2016, in the juried Salon held by the historic Société National des Beaux-Artes (SNBA) at the Carrousel du Louvre in Paris France. 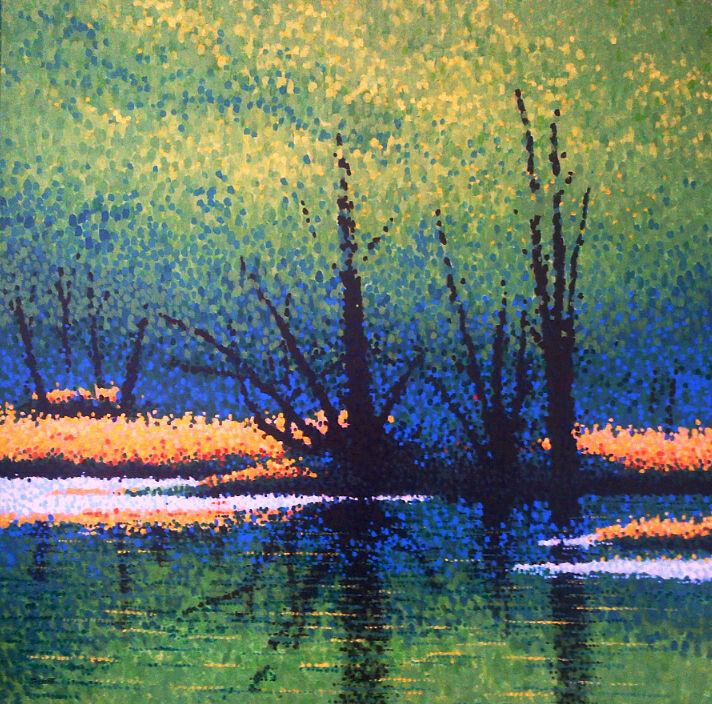 In 2012, Jim was recognized as a “Master Pointillist” in an award from ArtTour International Magazine for “Excellence In The Arts and Outstanding Career Achievement”. 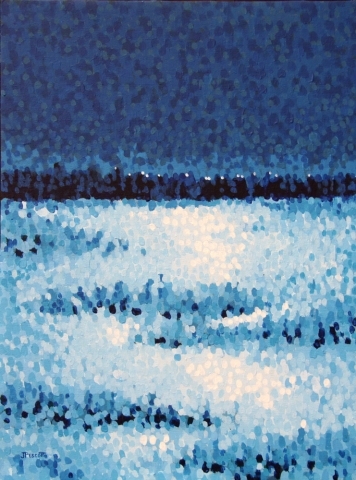 Then in 2013, Jim received medal award recognition from France’s national Académie Arts-Sciences-Letters. 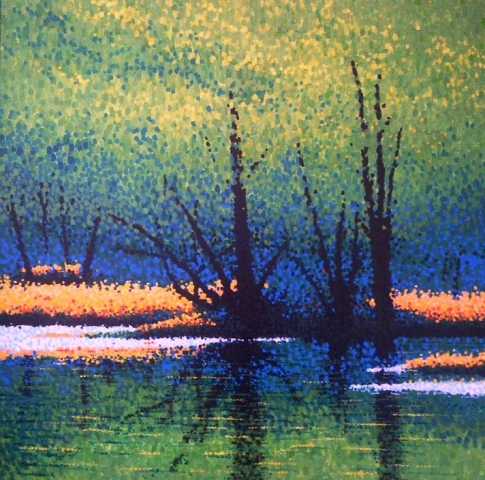 In 2018, Jim was awarded “Landscape Artist of the Year 2018” by Art Design Consultants in Cincinnati for his landscape painting entry to their Art Come Alive 2018 exhibition. 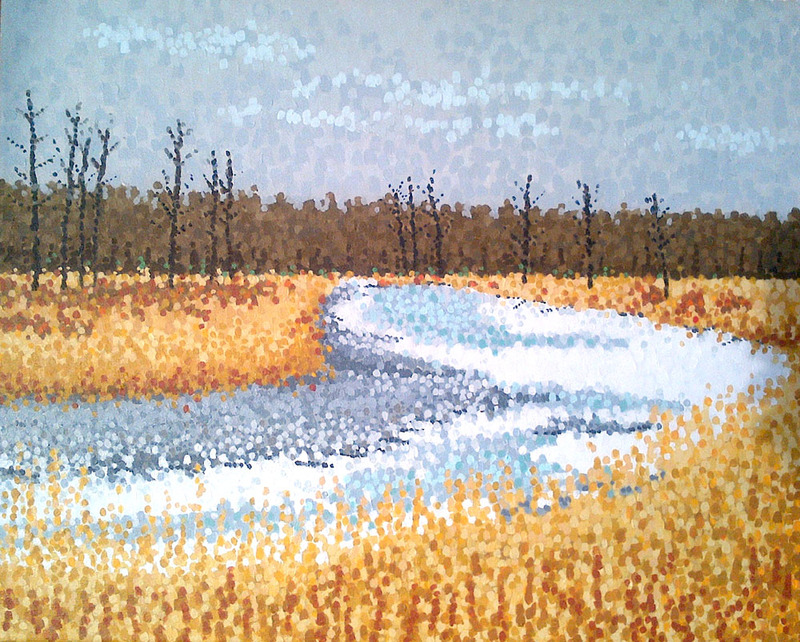 Jim lives and creates in Alberta, Canada.